NEW YORK, November 7, 2017 /3BL Media/ -- This year, H&M is proud to announce that the Garment Collecting initiative will have a new partner in the United States with Keep America Beautiful, the nation’s iconic community improvement nonprofit organization. To kick off this new partnership, H&M is urging customers and fans to participate in America Recycles Day by donating unwanted textiles from any brand in any condition to any H&M in the U.S. From Nov. 9-15, people who donate to the program will receive double vouchers for 15% off their next purchase. H&M first launched its worldwide Garment Collecting initiative in 2013 and has since then collected over 40,000 tons of clothing. Customers can bring any unwanted garments and textiles, from any brand and in any condition, to any H&M store, all year around. 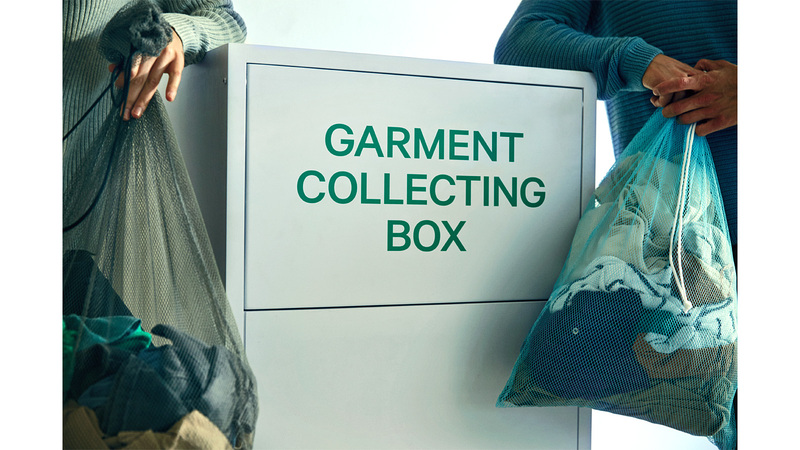 The goal is to increase the amount of garments collected, every year, so that they reach a total collected volume of 25,000 tons per year by 2020. So far this year, thanks to all of our customers, H&M USA has collected 2.3 million pounds of unwanted textiles, helping to divert all of it from landfills and give it a second life. To provide fashion and quality at the best price in a sustainable way, H&M’s ambition is to work towards a change in the way fashion is made and enjoyed today. Closing the loop is a central commitment of H&M’s work towards a sustainable fashion future. The aim is to create a closed loop for textiles, so that unwanted clothes can be reused and recycled to create fresh textile fibers for new products. In turn, this will help to save natural resources and ensure that zero garments go to landfill as well as help H&M to achieve its long-term goal that by 2030 all of its products will come from more sustainable or recycled sources. America Recycles Day educates people about the importance of recycling to our economy and environmental well-being, and helps to motivate occasional recyclers to become everyday recyclers. A Keep America Beautiful national initiative, America Recycles Day takes place on and in the weeks leading into Nov. 15, and is the only nationally recognized day dedicated to promoting recycling in the U.S.
For more information on Garment Collecting, please visit http://about.hm.com/en/sustainability/get-involved/recycle-your-clothes.html. To learn more about Keep America Beautiful and donate, please visit KAB.org/donate. H & M Hennes & Mauritz AB (publ) was founded in Sweden in 1947 and is quoted on Nasdaq Stockholm. H&M’s business idea is to offer fashion and quality at the best price in a sustainable way. In addition to H&M, the group includes the brands & Other Stories, Cheap Monday, COS, Monki and Weekday as well as H&M Home. The H&M group has approximately 4,500 stores in 66 markets including franchise markets. In 2016, sales including VAT were SEK 223 billion. The number of employees amounts to more than 161,000. For further information, visit about.hm.com. Keep America Beautiful, the nation’s iconic community improvement nonprofit organization, inspires and educates people to take action every day to improve and beautify their community environment. Established in 1953, we strive to End Littering, Improve Recycling and Beautify America’s Communities. We believe everyone has a right to live in a clean, green and beautiful community, and shares a responsibility to contribute to that vision. Behavior change – steeped in education, research and behavioral science – is the cornerstone of Keep America Beautiful. We empower generations of community stewards with volunteer programs, hands-on experiences, curricula, practical advice and other resources to deliver measurable environmental, economic and social benefits. The organization is driven by more than 600 state and local Affiliates, millions of volunteers, and the support of corporate partners, social and civic service organizations, academia, municipalities and government officials. Join us on Facebook, Instagram, Twitter and YouTube. Donate and take action at kab.org.